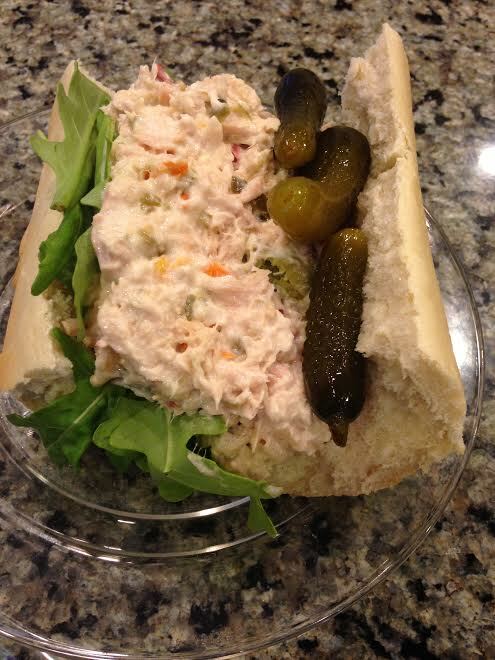 Nothing is better than a delicious tuna salad sandwich. I can make tuna a million ways but every so often I love a good old mayo and tuna sandwich. You will love yourself after this meal. 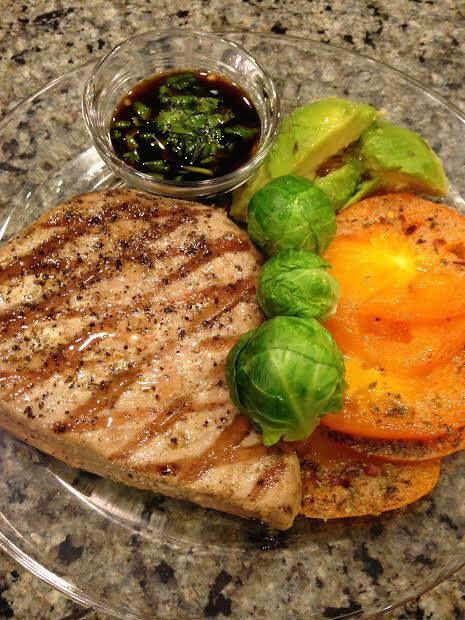 Brush oil all over both sides of the tuna. Grill on medium high for about three minutes per side or until you have good grill marks. Serve with a tomato, onion and avocado salad that just has a garlic powder, oregano salt, pepper and olive oil dressing. Steamed brussels sprouts on the side. The dipping sauce for the tuna steals the show. Mix this all together and thats it. I dunked everything in it. It is a chewy grain that you can add to soups or salads. Two packages of Knorr Sason which is a seasoning package with garlic, onion, annatto and coriander. 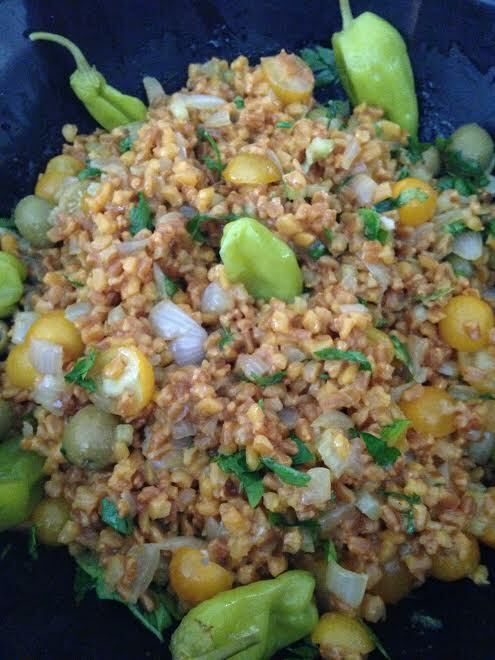 If you can’t find the seasoning package , you can use one teaspoon salt, one teaspoon garlic powder and onion powder, 1/2 teaspoon annatto and coriander. You can use vegetable cubes if you prefer. One cup of diced fresh parsley. 3/4 cup lemon garlic dressing. Add the spices, bouillon cubes and farro. Simmer on low for 30 minutes till the farro is cooked but still chewy. Keep it in the pot and it will absorb all the water. Saute the onion and red pepper in the oil and season with salt and pepper. Put the farro in a large bowl and add half the salad dressing. Add everything else but save the pepperoncini peppers for garnish. Add the rest of the dressing on the top of the salad. Sometimes I add black olives, feta cheese and a jalapeno pepper. 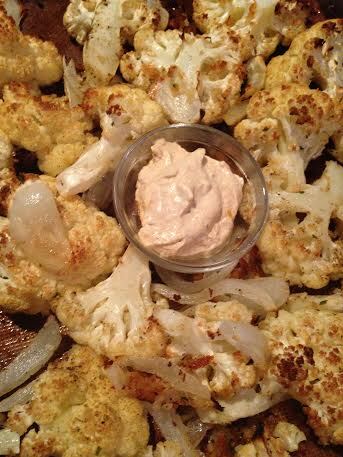 My family loves this salad and it is a great make ahead meal. 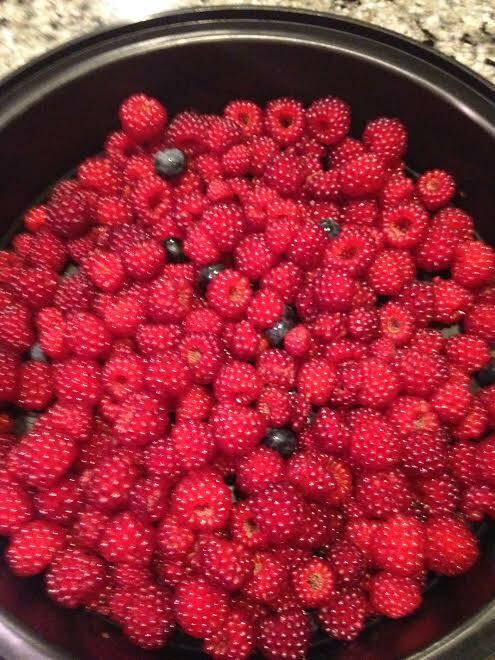 In my yard we have a wild raspberry bush and this year I reaped the harvest. I am just going to eat these delicious berries plain but I wanted to show you how pretty they are. I am always looking for a healthy, low calorie snack. 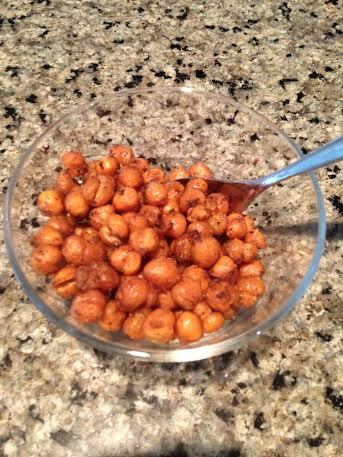 Two cans of rinsed and dried chick peas. Spread out evenly in a baking pan. Try not to make the peas touch. Bake at 450 degrees till the peas dry out and get crunchy. Place in a bowl and eat them like peanuts. 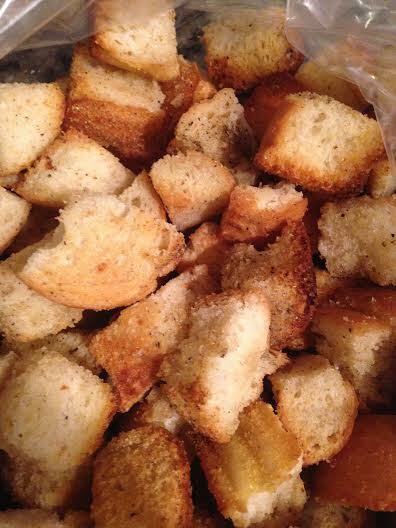 Never underestimate how delicious a homemade crouton is. It is so worth the little time to make them plus you get to use up your extra bread. One loaf of Italian bread, French bread, rolls or whatever you have. I prefer day old or almost stale bread. Cut into one inch cubes and place in a large mixing bowl. Spread into a baking pan in an even layer. Bake in a preheated 450 degree oven for five minutes then turn the croutons over to brown all the sides. Be careful that they don’t burn. I have turned my head for a minute and burnt patches of bread. Wait till they cool and keep in an air tight container. You can also change the spices or make your own flavor. I have used onion powder, pesto, cheese and cinnamon sugar. I have also made them with melted butter instead of the oil and they were delicious.